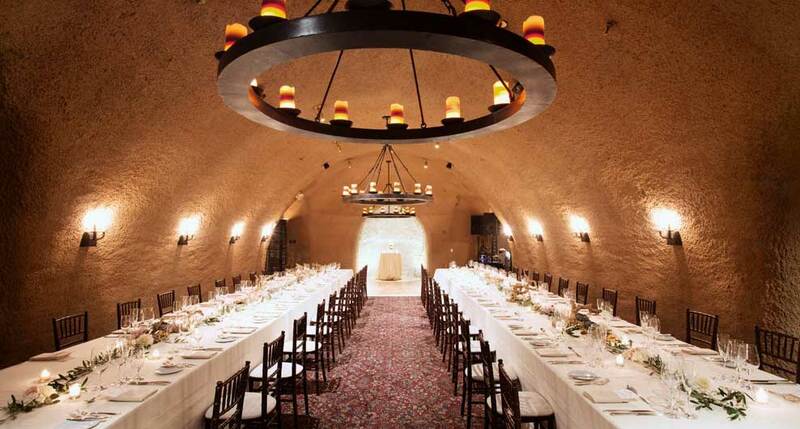 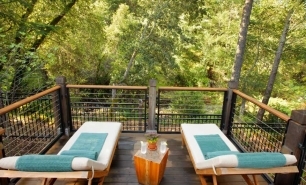 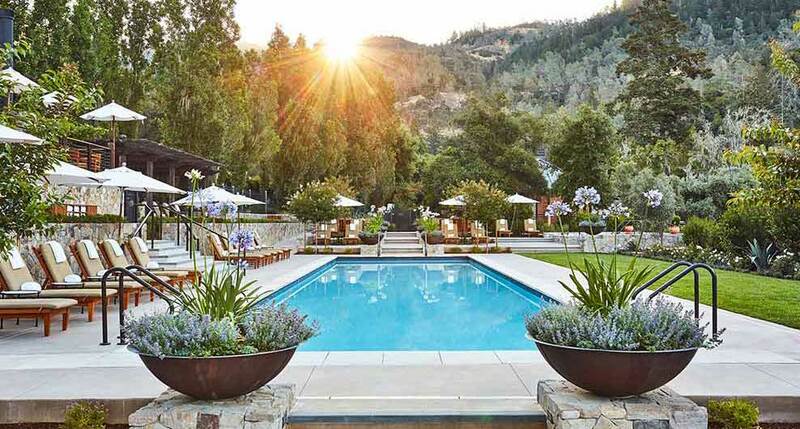 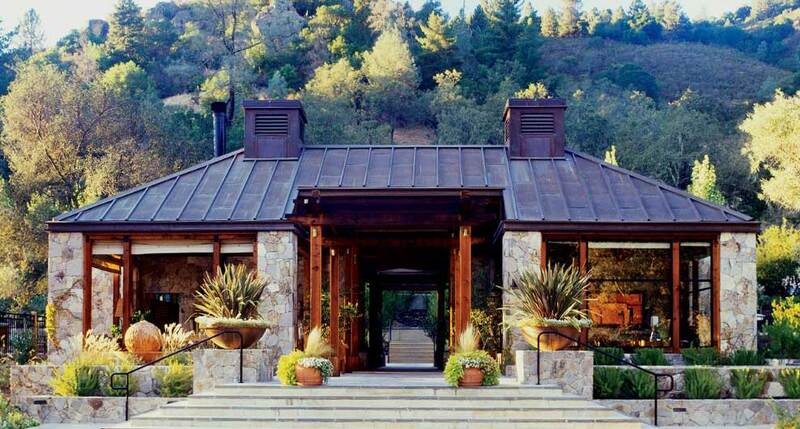 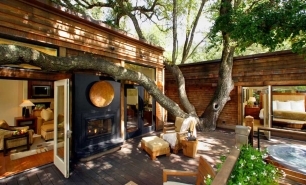 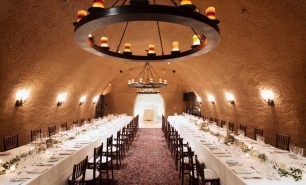 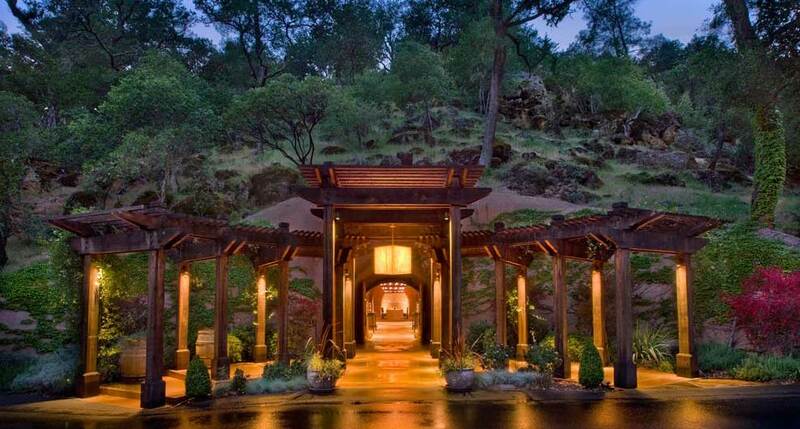 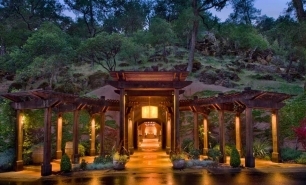 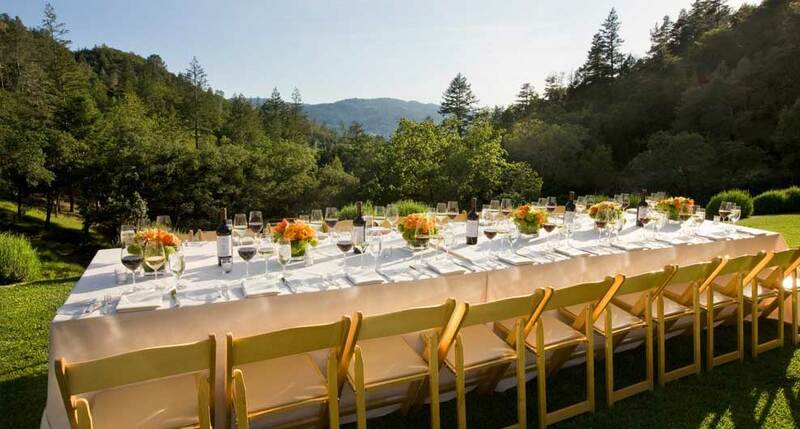 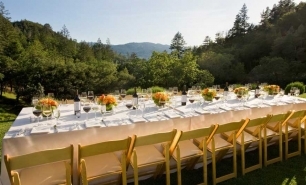 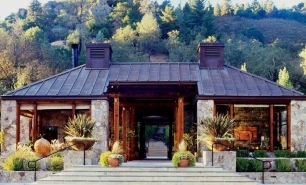 Calistoga Ranch is a Napa Valley hotel featuring an on-site vineyard, fine wine, world-class cuisine, and luxury lodge accommodations. 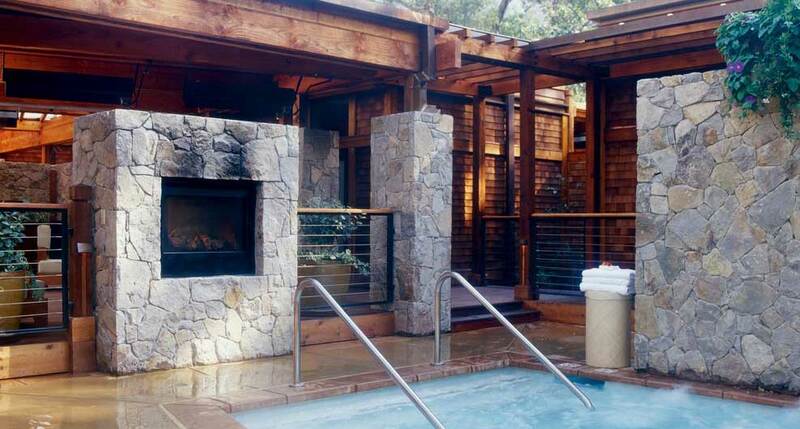 The area is well known for its many natural hot springs and has been a wellness destination for over a century. 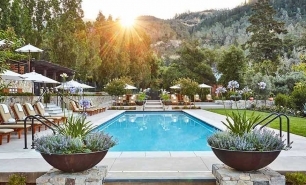 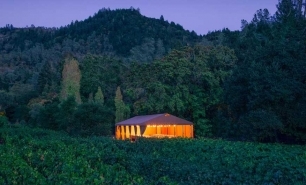 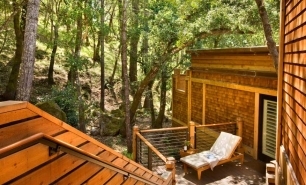 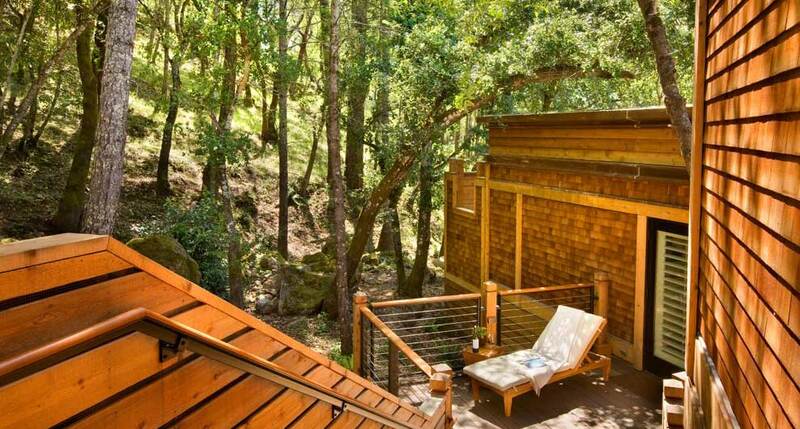 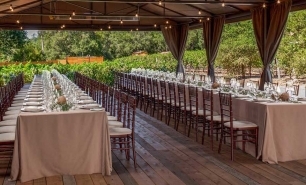 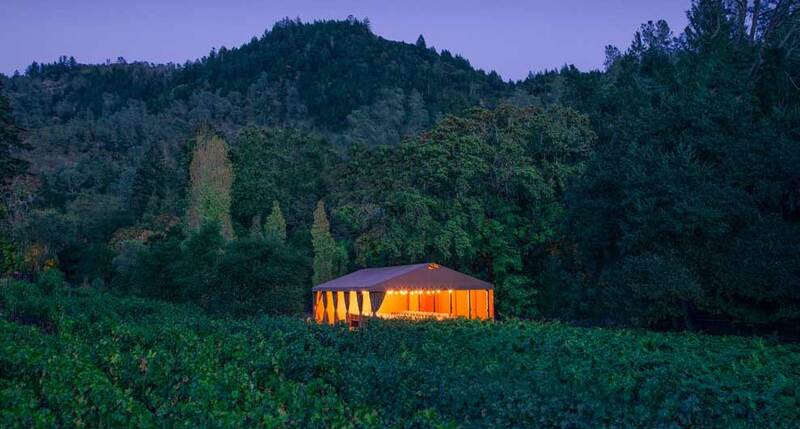 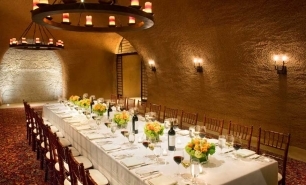 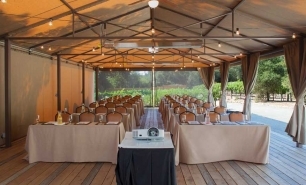 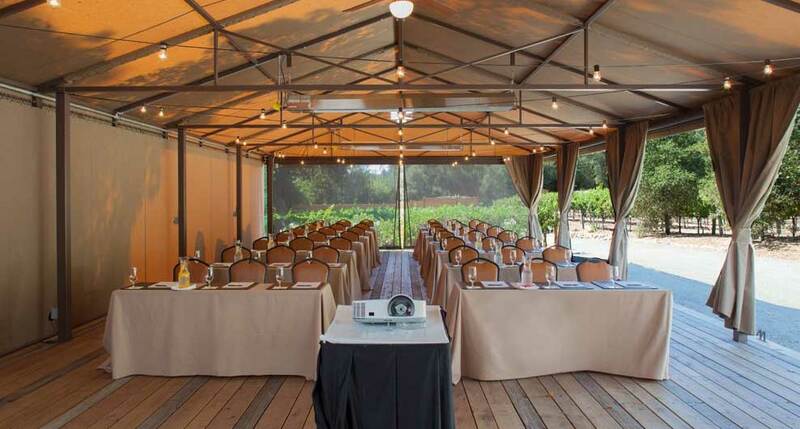 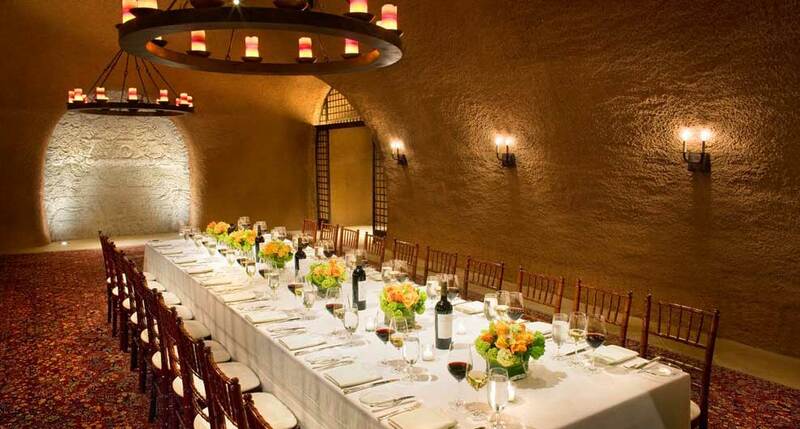 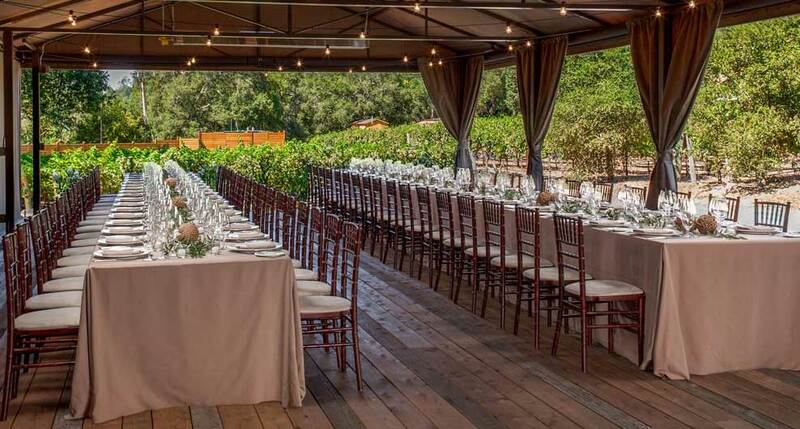 It is a 5-minute drive from the Silverado Trail, an area dotted with Napa Valley's wineries and vineyards, and a 15-minute drive from St. Helena, the main town in Napa Valley. 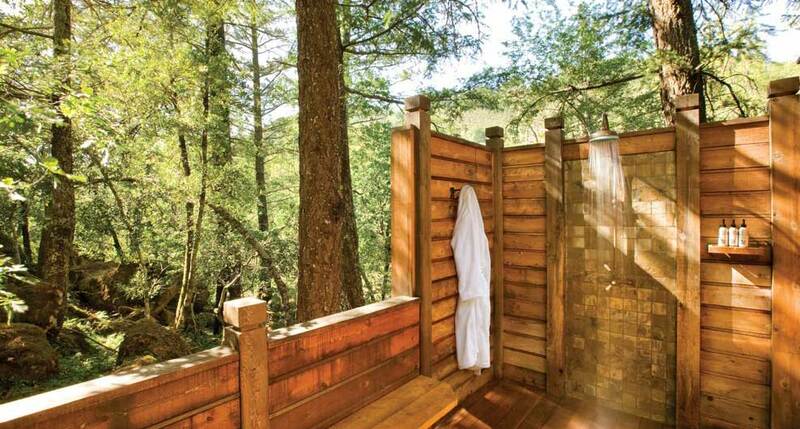 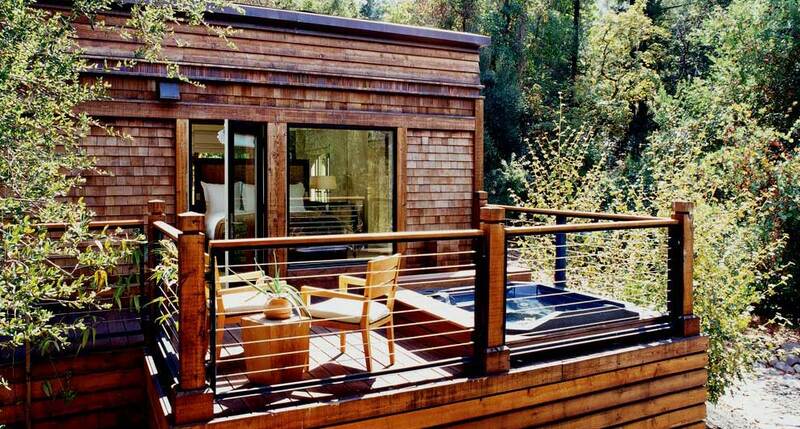 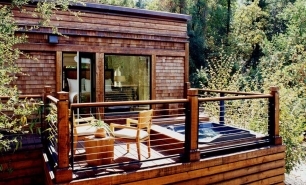 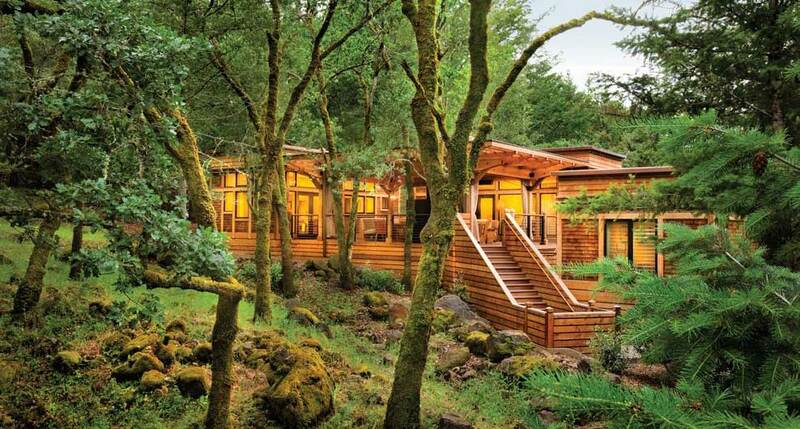 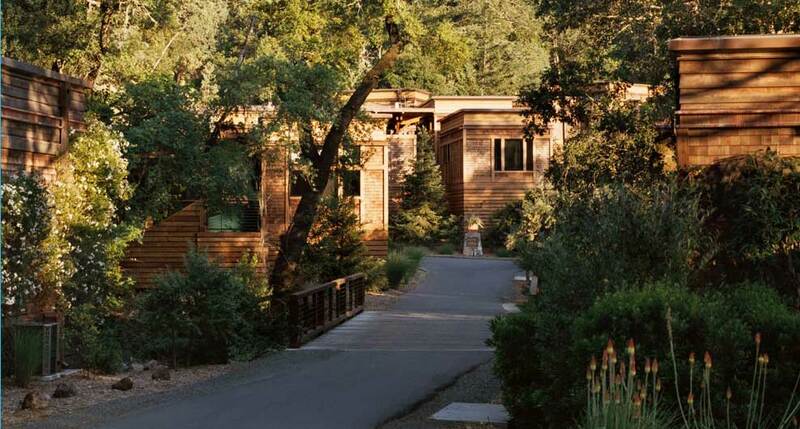 The 48 freestanding lodges beautifully complement their natural surroundings. 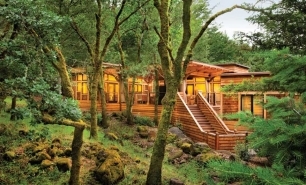 They all boast a contemporary design, polished cedar interiors, floor-to-ceiling windows, and offer views of the local hills and forest. 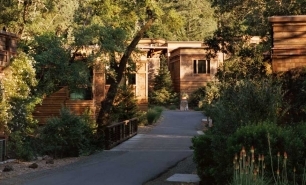 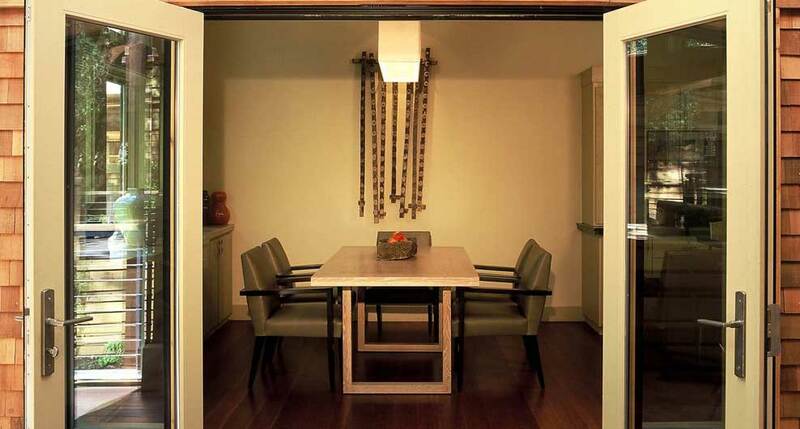 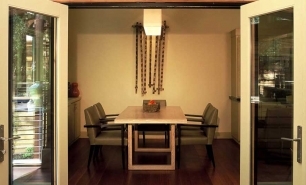 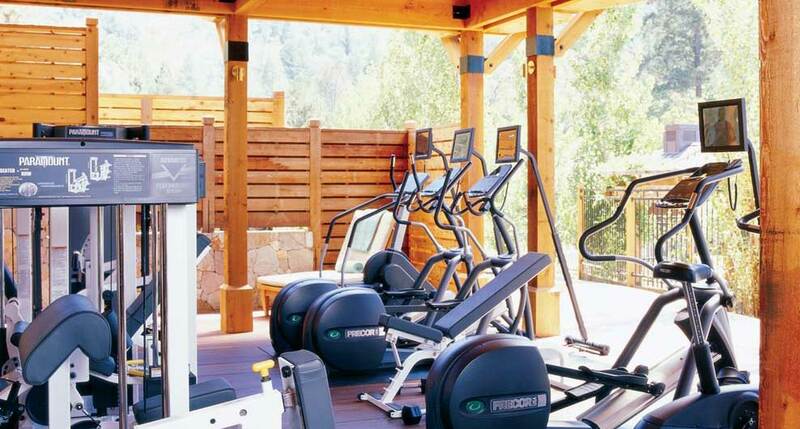 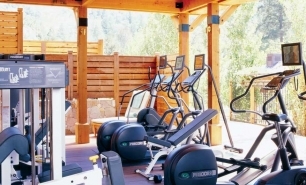 There are one and two bedroom lodges (600-2400 sq. 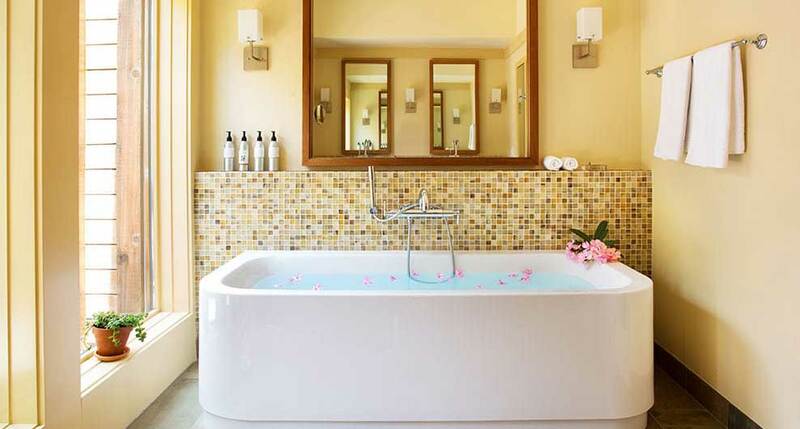 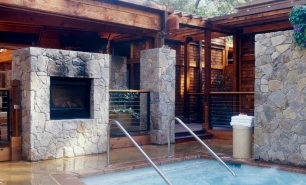 ft.) all of which contain fireplaces and outdoor showers, some with large hot soaking tubs and Jacuzzis. 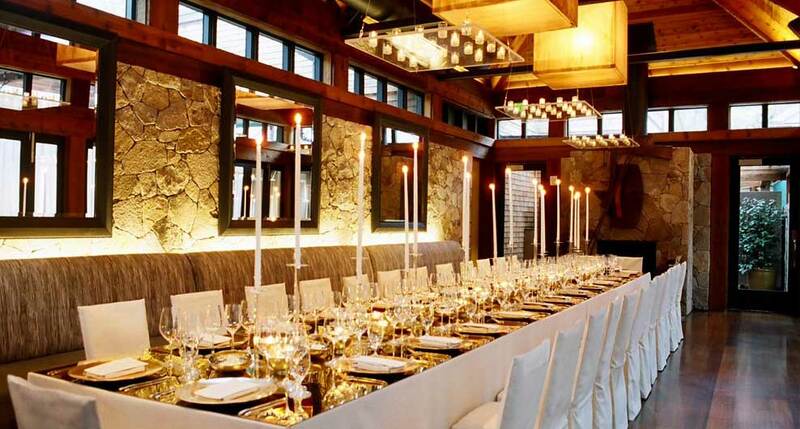 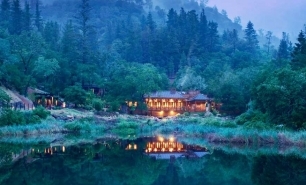 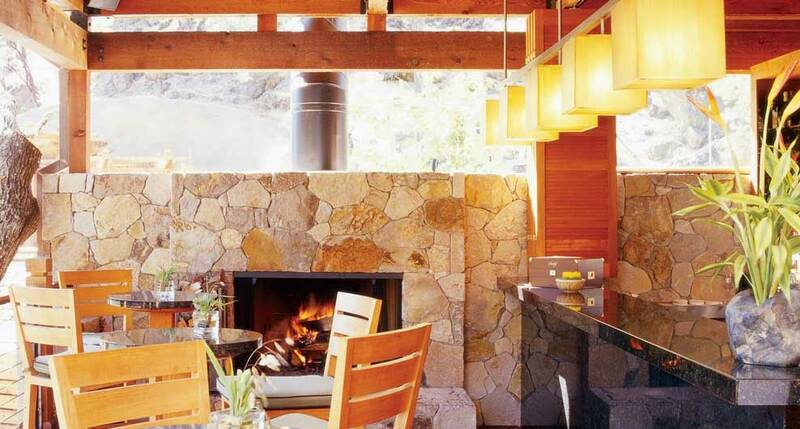 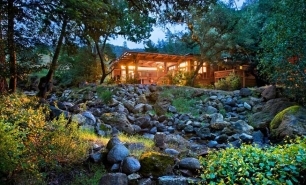 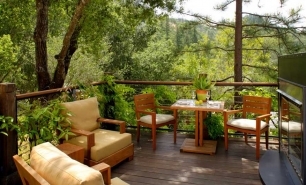 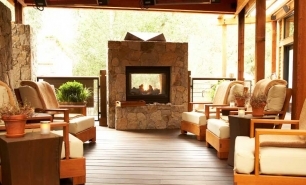 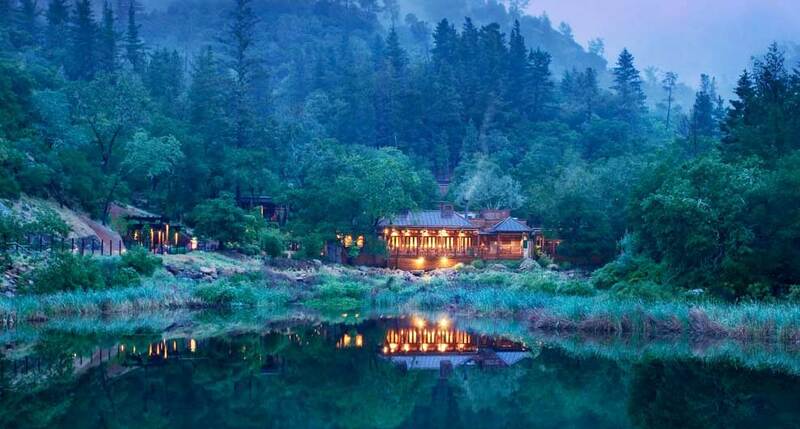 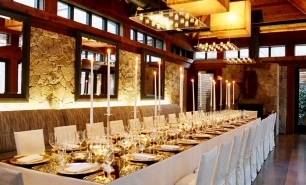 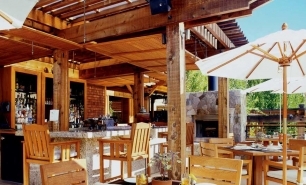 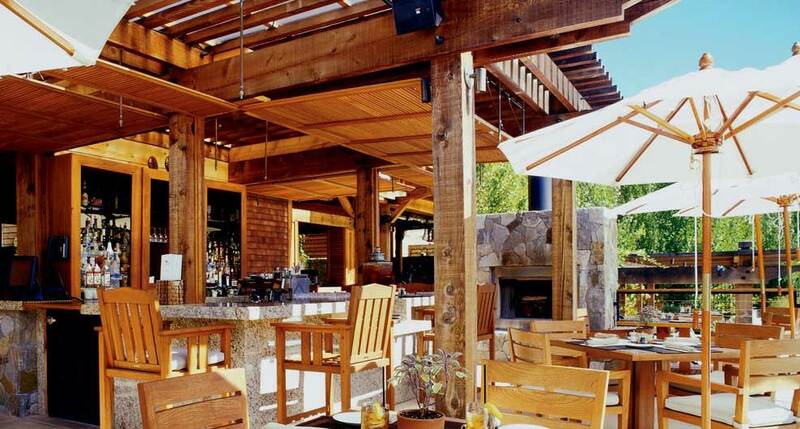 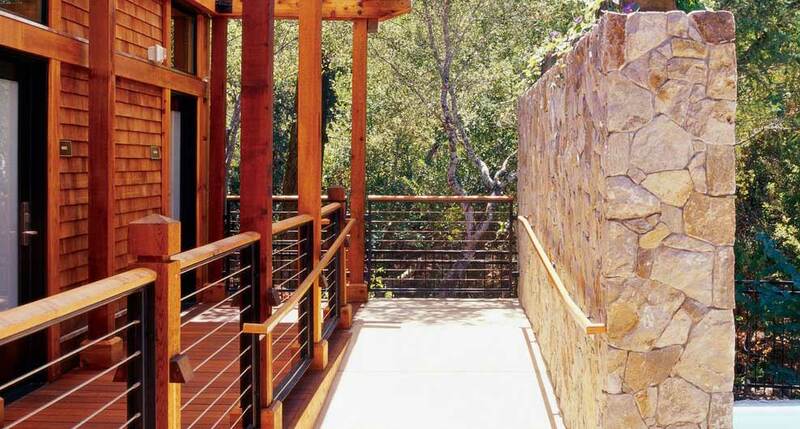 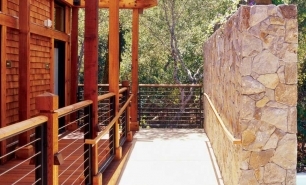 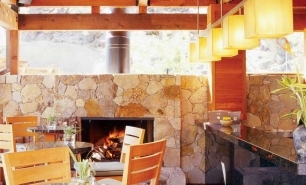 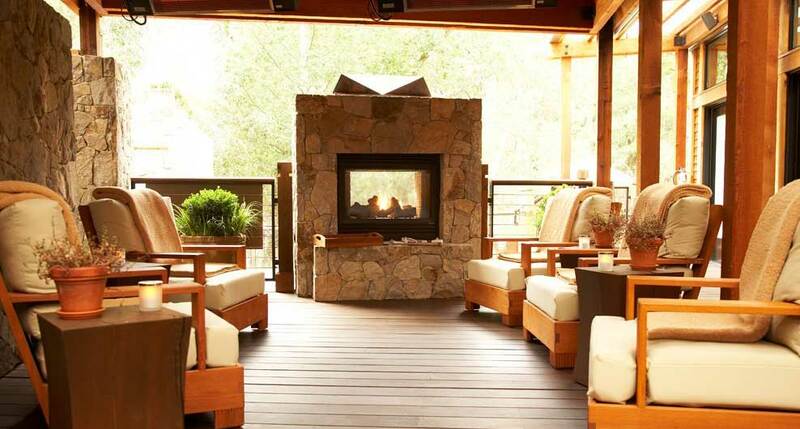 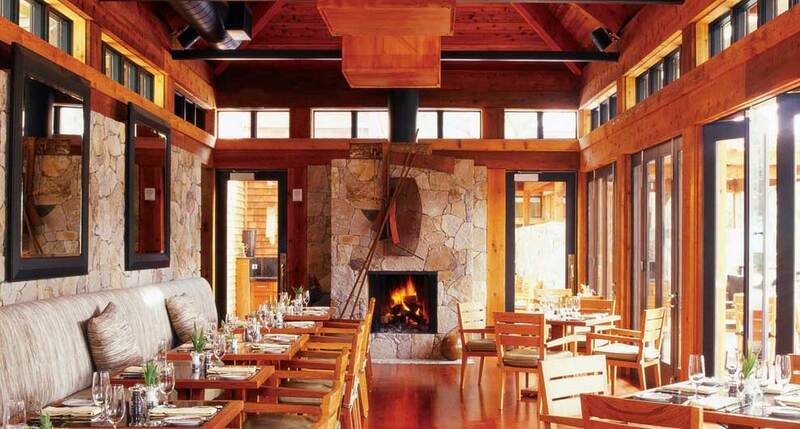 The Lakehouse, Calistoga Ranch’s main restaurant, serves international cuisine and has expansive decks overlooking Lake Lommel. 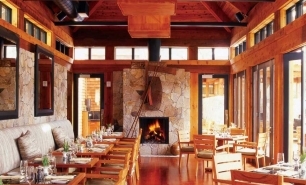 The Dining Lounge is perfect for tasting one of the region's renowned wines or a classic cocktail at sunset. 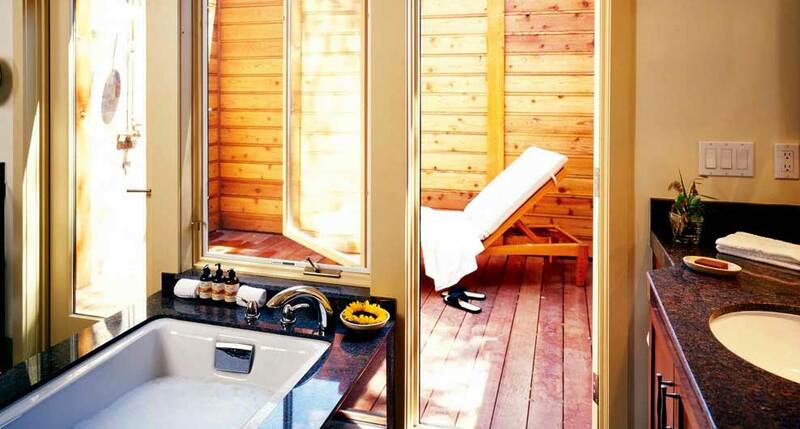 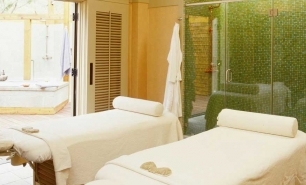 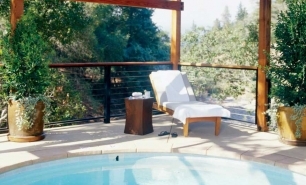 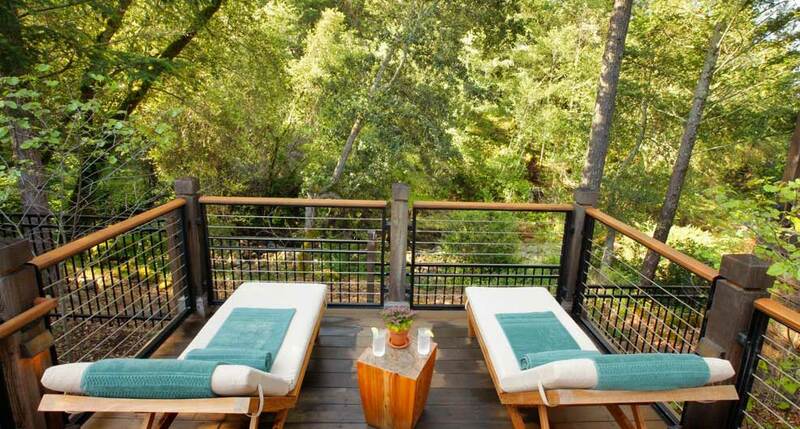 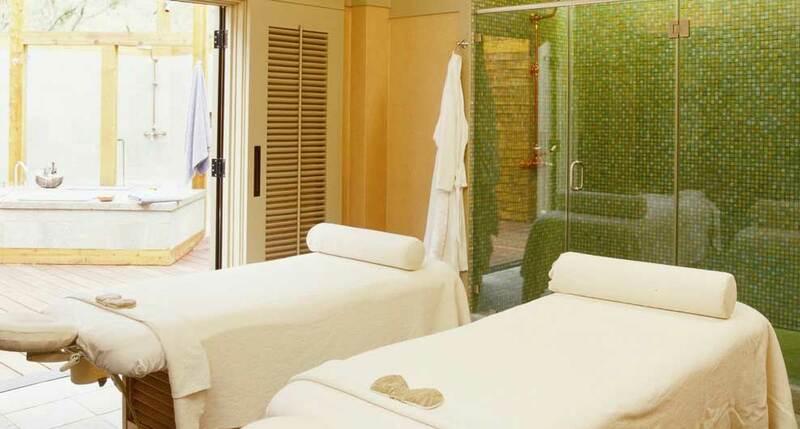 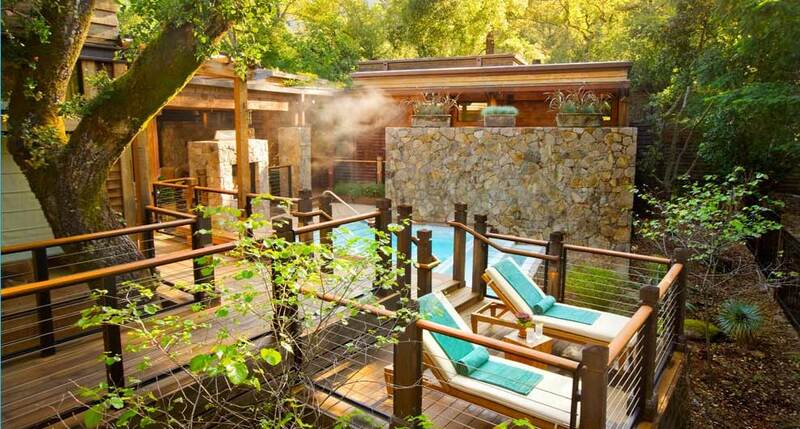 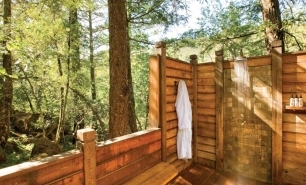 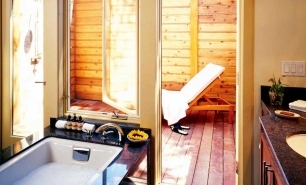 Calistoga is a region of mineral soaks and mud baths. 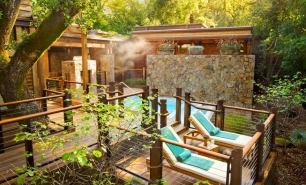 The Bathhouse, situated among moss-covered boulders and trees, offers private mineral-soaking pools and outdoor mud baths. 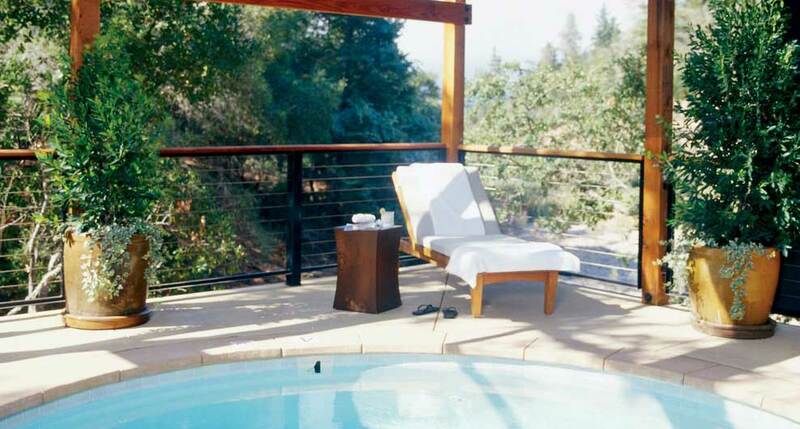 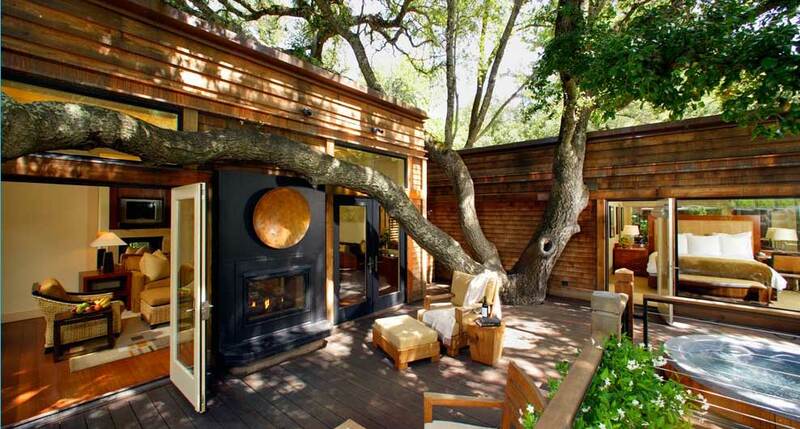 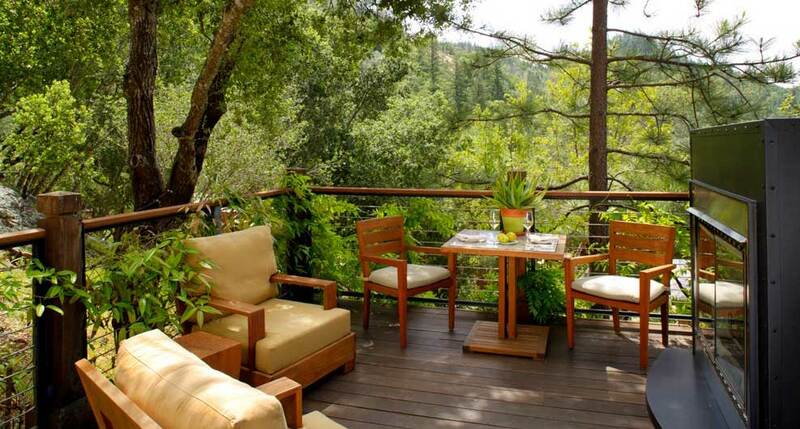 Napa Valley is a year round destination however Fall (Sept-Nov) is considered the best time to visit. 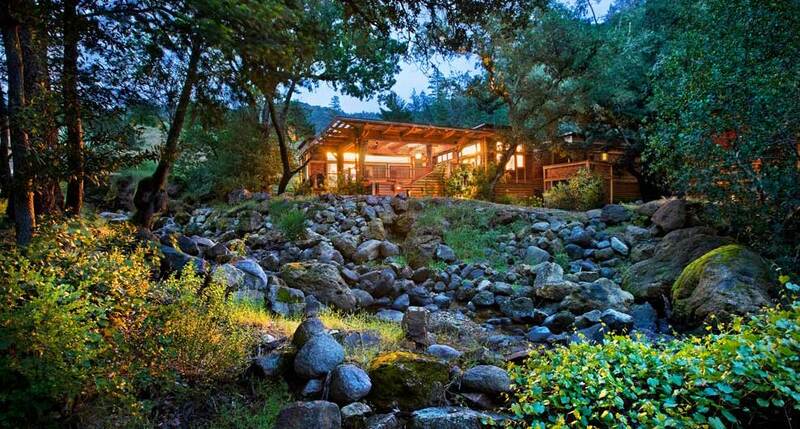 Most of the rain falls in winter when nights can be chilly.